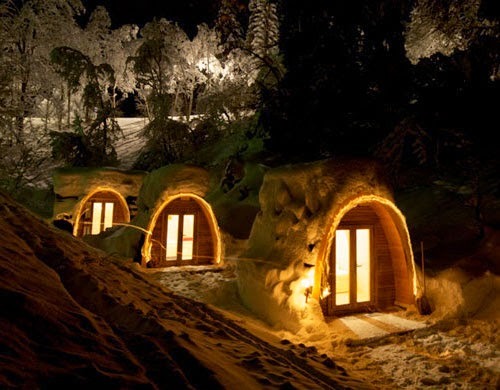 All year round camping resort, Camping Flims, provides these Pod Hotel Rooms as an alternative to the tent. 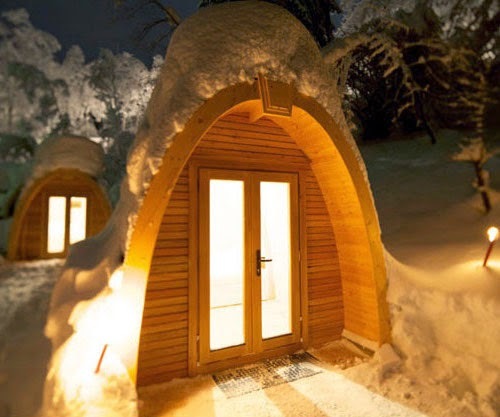 These Pods are situated in Flims in Switzerland and the different sizes can accommodate between 2 and 7 people. 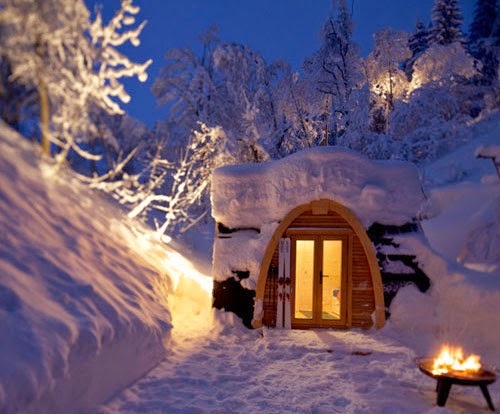 The pod is equipped with electricity and heating but no cooking facilities indoor or toilet. As you can see in the photographs these light constructed buildings can provide a comfortable home during the hot summer and the cold winters. 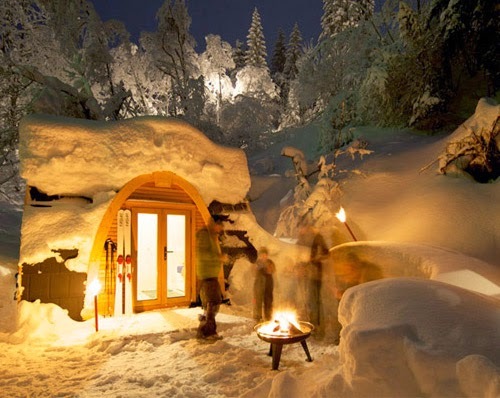 Would you take your holidays in a small cabin like this? Tent or Pod? let us know in the comment section below. 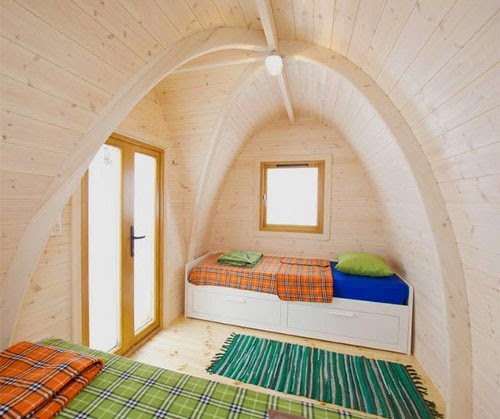 If you like this post have a look at Micro Architecture in the Cabin DROP XL.